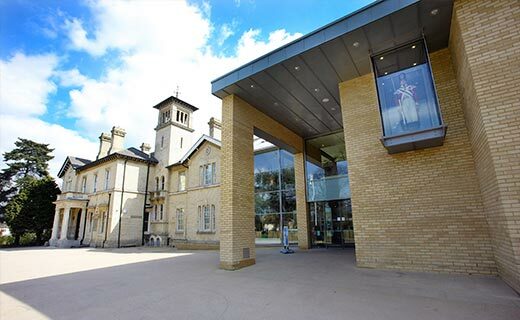 Chelmsford Museum is housed in a beautiful Grade II listed Victorian House, located at the heart of Oaklands Park. Chelmsford Museum is a unique corporate venue that offers a range of rooms in a historic setting that are ideal for seminars, talks, meetings and evening social events. Chelmsford Museum and the Essex Regiment Museum. Both of these Museums contain unique historical objects of international significance. The Wells Pertwee Suite is a large flexible space, with views over Oaklands Park. 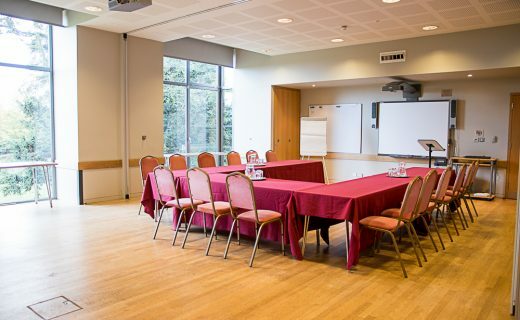 It can be used for meetings, seminars, talks and other events during the day, in the evening or at weekends. For an extra special experience, guests are free to tour the museum and enjoy the beautiful surroundings of Oaklands Park including picnic spaces and the commemorative rose garden. The Wells Pertwee Suite can be arranged in a number of layouts with a maximum of 60 people in a theatre style. The room can also be divided in half. A range of food and beverage options are available and can be tailored to suit your requirements. Easy to reach, the museum is situated on the edge of the City Centre and has its own car parking. Call our Corporate Sales Team on 01245 606348, so we can talk you through the options and help you find the right solution to meet your brief.